Swoop Summer Circus on the Sand - what a fantastic success! Thank you to everyone who came and played on the sand with us! The circus community is growing stronger all the time and we loved seeing the smiles on everyone's faces as they hooped, balanced, drummed and spectated. See the gallery page for more great pics from the crowd. Our STARters beginners circus class runs every Tuesday afternoon 4-5pm at Collaroy Masonic Hall. Classes recommence on Tuesday 12th February 2019. Adult circus classes run at 6pm on Tuesday evenings - with sufficient numbers we may apply to perform a display at the Brookie show! Let us know on facebook if you're interested! Holiday workshops will resume in the Easter holidays. Bookings are now welcome for weekly classes in 2019. Contact Danielle on 0411 512 049 to book a spot in any of the above classes. 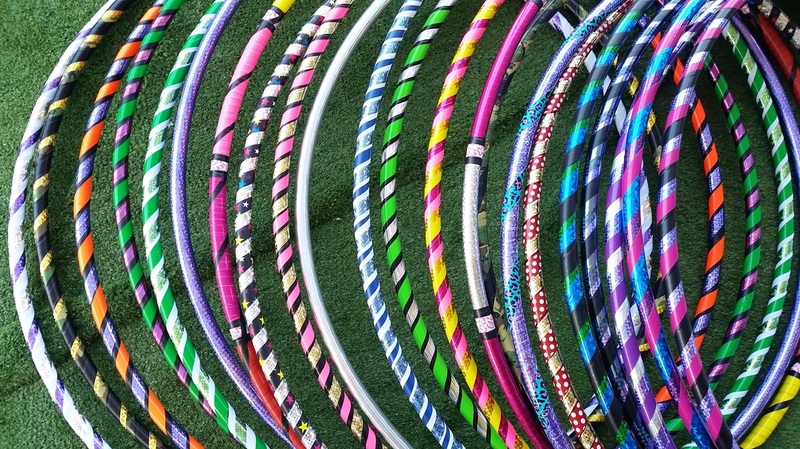 ​ Handmade Circus hoops are available for purchase and collection in Narrabeen. Hoops are $35 each or 2 for $50.